CARACAS, Venezuela -- Former major league pitcher Geremi Gonzalez, who won 11 games for the Chicago Cubs in 1997, was killed by a lightning strike in his native Venezuela on Sunday. He was 33. 1. The number of chimpanzees infected with HIV, who have died of AIDS. 2. The number of HIV+ diagnoses that have been validated using a well-defined gold standard. 3. The number of US CASES (let alone fatalities!) from H5N1 ("bird flu"). 4. The number of patients cured by AIDS research. 5. The number of seroconversions observed by Nancy Padian in the longest-running study on HIV sexual transmission. "The Writing is on the Wall for UNAIDS"
LONDON (Reuters) - European authorities have approved the first pre-pandemic bird flu vaccine, Prepandrix, from GlaxoSmithKline Plc (GSK.L), its maker said on Monday. Europe's biggest drugmaker hopes the move will spur fresh stockpile orders from governments around the world. Prepandrix is intended for use before or in the early stages of a flu pandemic. It triggers an immune response to the H5N1 strain of bird flu, which experts fear may trigger a widespread human flu outbreak threatening millions of people. Really now, do you think this is honest science, well-intentioned public policy or none of the above? And, Qui Bono, from this hysteria? Why, the folks selling a vaccine to thwart this non-existent dreaded outbreak, of course. So far, Glaxo has received orders for Prepandrix from a handful of governments, including the United States, Switzerland and Finland. In 2007, it sold 146 million pounds ($284 million) of its pre-pandemic vaccine and bulk antigen. Now Glaxo's flu vaccine head Emmanuel Hanon expects more buyers to follow, justifying the $2 billion his company has invested in increasing flu capacity. "It's clear that some governments are more proactive than others ... the policy is evolving and I'm looking for some kind of alignment in terms of what governments are going to do," he told reporters. Gin up fears of a non-threat, seed the literature with bogus studies of avian bird flu, convince the public to worry about it, invest $2 Billion in a vaccine (probably partly funded by Gov't grants,) sell the vaccine back to the Gov't's to "protect the people" -- all for a virus that's caused ZERO deaths in the good 'ole US of A. Also don't forget to watch made-for-tv "Fatal Contact--Bird Flu in America" -- but only if you're really bored on a Thursday night at 3:00 a.m. Don't worry if you missed it either, everyone else did -- it came out 2 years ago. 25 years later, AIDS researchers acknowledge "setbacks" and need for "new ideas" and "fresh thinking"
Twenty-five years and hundreds of billions of dollars after the "discovery" of "the AIDS virus" by Luc Montagnier in the journal Science, AIDS researchers admit they have suffered "setbacks" and that "new ideas", "young talent", and "different eyes" are needed to address "some fundamental biological questions". "'We still don't completely understand the various forms of the virus. It's more complicated for us than we thought,' said France's Luc Montagnier, who with Robert Gallo of the United States identified HIV as the cause of AIDS. 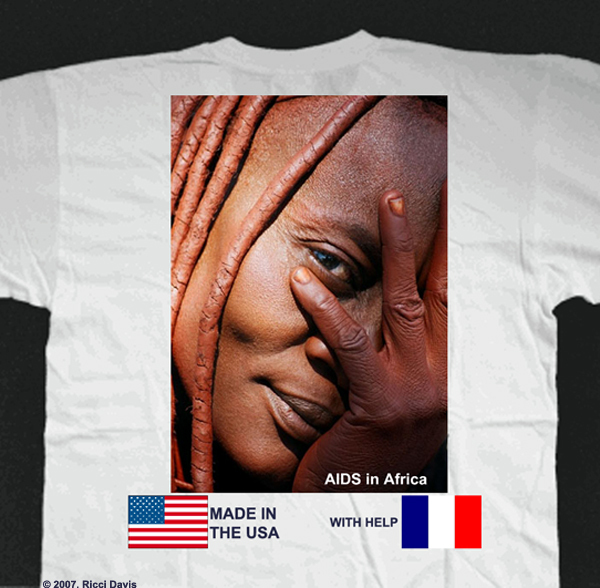 'We need to go back to the question of basic research, to have new ideas, new teams, to take a new look at cellular biology,' said Jean-Francois Delfraissy, director of France's National Agency for AIDS Research (ANRS)." "Primary infection was defined as a confirmed positive virologic test result with either a negative HIV antibody assay result or an indeterminate Western blot. Because there is no virologic gold standard, we assumed that levels of plasma HIV RNA had a sensitivity of 100% for diagnosing primary infection." Daar ES et al. "Diagnosis of primary HIV-1 infection". Ann Intern Med. 2001 Jan 2;134(1):25-9. "At present there is no recognized standard for establishing the presence and absence of HIV-1 antibody in human blood." Human Immunodeficiency Virus Type 1 HIVAB HIV-1 EIA. Abbott Laboratories. 1997 Jan.
"The evaluation of the sensitivity and specificity of PCR for the diagnosis of HIV infection in infants is particularly difficult because there is no reference or ‘gold standard’ test that determines unequivocally the true infection status of the patient..."
Owens DK et al. "A Meta-analytic Evaluation of the Polymerase Chain Reaction for the Diagnosis of HIV Infection in Infants". JAMA. 1996 May 1;275(17):1342-1348. "Whenever possible, studies of the performance of a diagnostic test should use reference tests that unequivocally establish the true state of disease or health... The lack of an appropriate reference test substantially complicates evaluation..."
2. FUND ALTERNATIVE NON-VIRAL HYPOTHESES. "At a time when fresh ideas and new paths of investigation are so desperately being sought, how can the AIDS community afford not to fund Duesberg’s research?" "The joint United Nations Program on HIV/AIDS, on which significant effort has been focused, is damaging health systems and distorting health financing, writes Roger England, Chairman of the Health Systems Network, in a View & Review feature released on May 9, 2008 in BMJ. As a result, he believes that UNAIDS should be closed down immediately... HIV globally accounts for 3.7% of mortality. However, 25% of health aid and a large proportion of domestic expenditure is allocated for HIV interventions. England points out that the global catastrophe once predicted with the AIDS epidemic has not occurred, and in comparison draws attention to the fact that global HIV deaths do not overtake the number of deaths of children under five years old in India. He claims that its recognition through a division of the UN, the disease has become more than just an ailment to prevent and cure. "With its own UN agency, HIV has been treated like an economic sector rather than a disease." "Expert Claims UNAIDS Should Be Shut Down", Medical News Today, 10 May 2008. "New ideas, young talent and injections of money are needed to invigorate the war against AIDS, top experts said here Monday at a review of medical progress since the human immunodeficiency virus (HIV) was discovered 25 years ago." Ever wonder how much CEO's of Big Pharma are making these days? LOS ANGELES, May 18 (UPI) -- Healthcare workers and dishonest patients are filling U.S. streets with potentially addictive prescription medications, officials say. Also contributing to the problem are pharmacy thefts, robberies and burglaries, the Los Angeles Times reported Sunday. Additionally, there are prescription forgeries and Internet pharmacies that require little information before shipping drugs, the newspaper said. "Unlike illicit drug use, which shows a continuing downward trend, prescription drug abuse ... has seen a continual rise through the 1990s and has remained stubbornly steady ... during recent years," Dr. Nora D. Volkow, director of the National Institute on Drug Abuse, told a congressional hearing in March. Local law enforcement officials say the illegal use of prescription drugs as street narcotics has surged. "What we are seeing is that prescription drugs ... are quickly becoming the drug of choice and abuse," said police Lt. Dennis Vrooman of Murrieta, Calif.
Our scientific friends across the pond are trying new experiments with human-animal hybrid embryos. Towards what end, you ask?
. "...and it provides another stream of financial support from the government so that we have jobs in the future, irrespective of whether we find a cause or cure for Alzheimer's, Parkinson's and motor neuron disease or spend years doing pointless research based on high-sounding ideals that produce no tangible benefit to anyone." Why is there no Vaccine? In 1984, when government scientists declared at a press conference that the "Probable cause" of AIDS had been found, they also predicted that a vaccine would be developed by 1986. At some point, after Tens of Billions of Dollars of tax-payer funded research, Why is there still no vaccine? More so, why is the vaccine increasing the risk of infection?